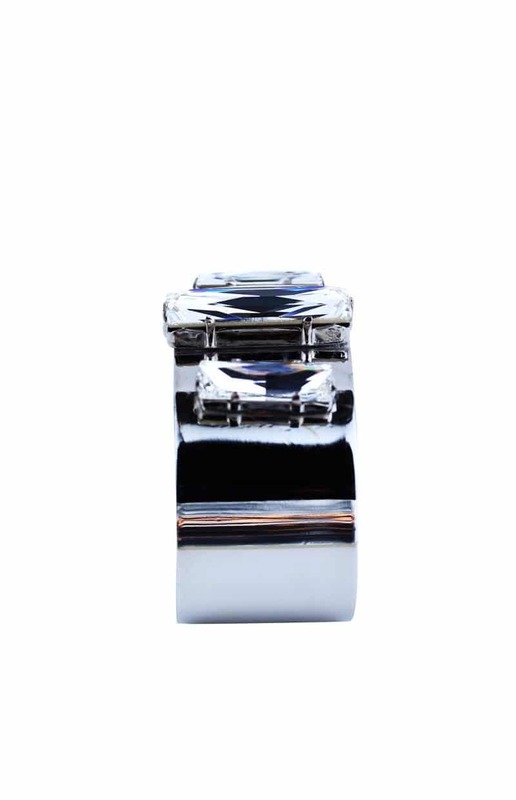 The allure of the night is calling, order your cocktail and you are transported with just one sip. 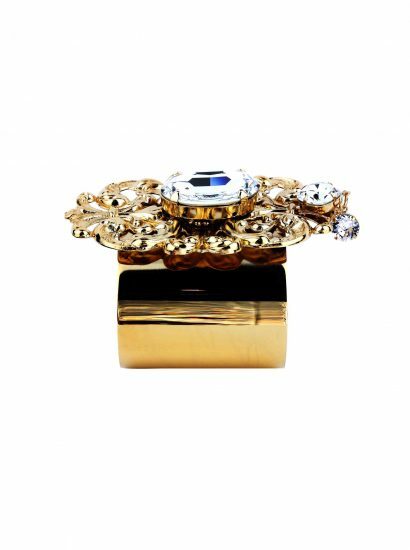 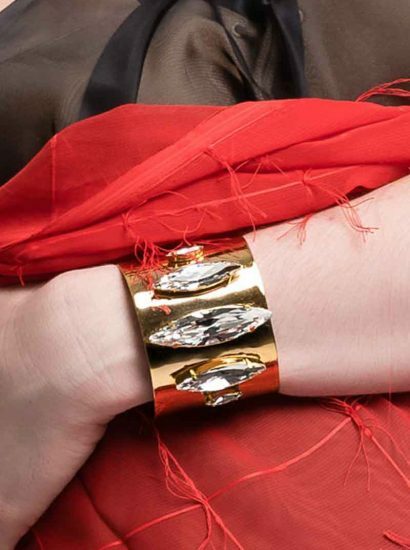 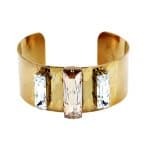 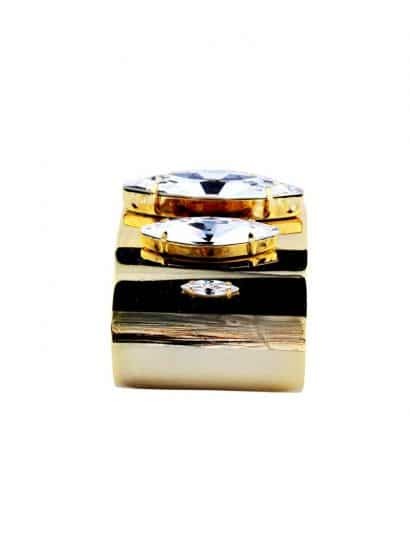 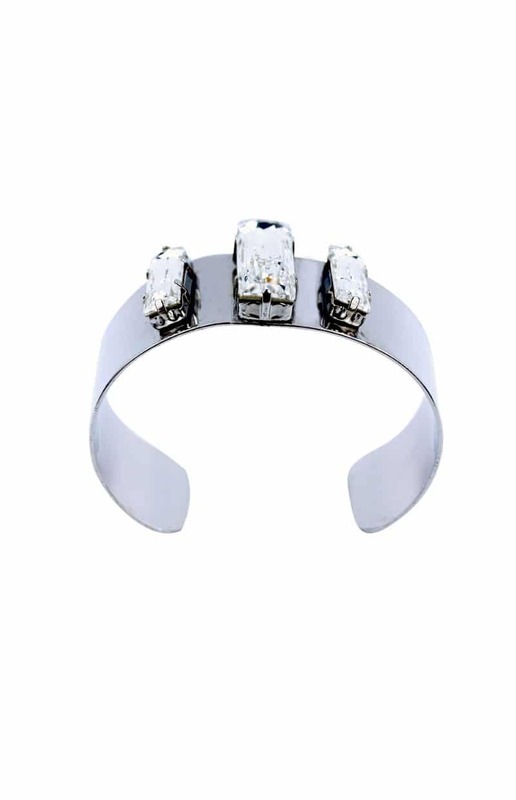 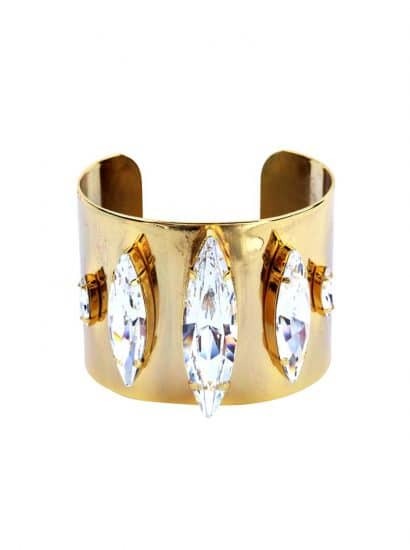 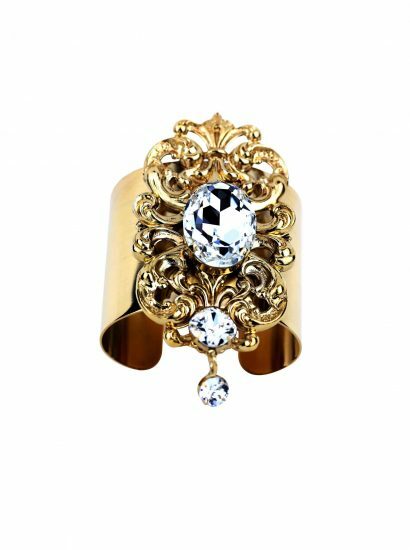 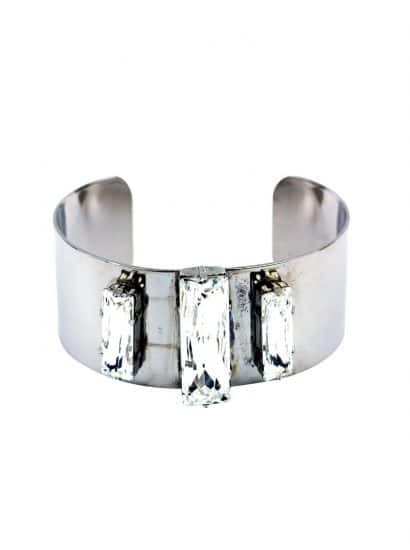 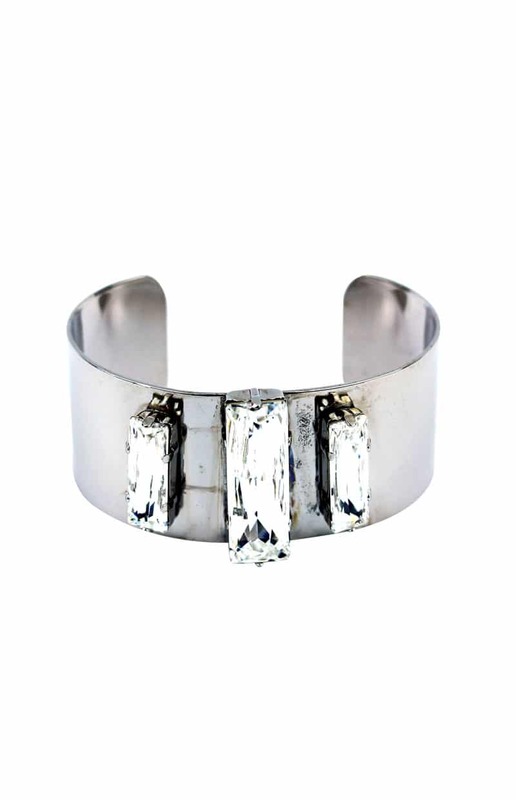 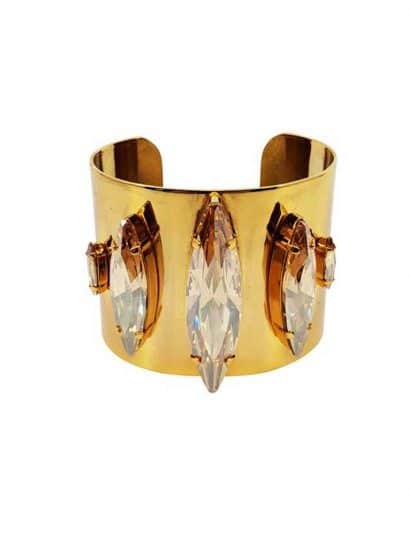 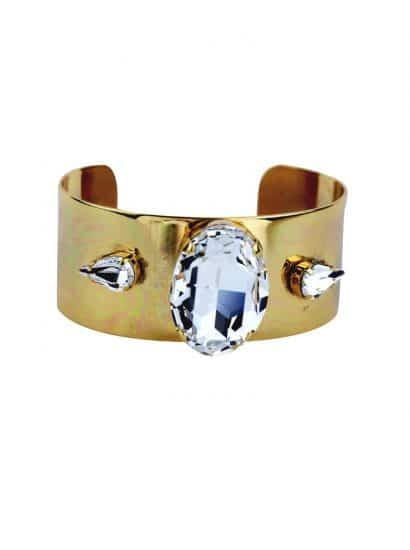 The bold design of this statement cuff bracelet features baguettes of clear Swarovski crystals in silver metal. 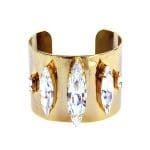 Effortlessly teamed with the cuff bracelet with the matching earrings or ring.